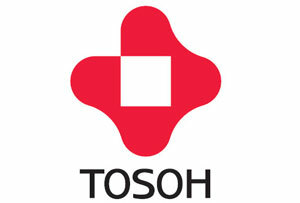 Tosoh Bioscience is an acknowledged global leader in the field of liquid chromatography with a focus on bioseparations. For more than 25 years, Tosoh Bioscience is providing cutting-edge solutions for customers developing and producing biologics, biosimilars, or biobetters. The product portfolio encompasses SEC/GPC instruments and a comprehensive line of media and UHPLC, HPLC and method development columns. These products are popular in the biotech and biopharmaceutical industry and used in R & D, process development, production, and quality control. Typical applications comprise the purification of therapeutic proteins in lab, pilot, and commercial scale, as well as their characterization by (U)HPLC. 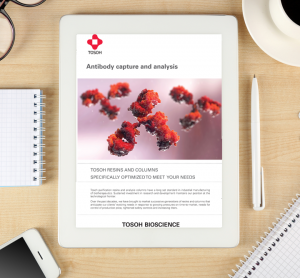 Headquartered in Griesheim, Germany, Tosoh Bioscience’s European operations offer extensive technical support like application development, on-site training and workshops. Tosoh Bioscience is part of the Tosoh Group, a Japanese chemical and specialty products and materials group that comprises over 100 companies worldwide and a workforce of more than 11,500 people. Our brands TOYOPEARL® and TSKgel® are renowned for their quality and reliability. The stationary phases cover all common modes of liquid chromatography, including ion exchange, hydrophobic interaction (HIC), mixed mode, reversed phase, hydrophilic interaction (HILIC), size exclusion (SEC), and affinity.